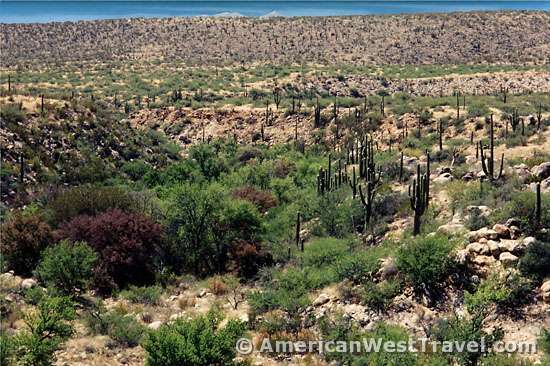 Catalina State Park offers excellent scenery with its lush washes, dense cactus forests, and a mountain backdrop. 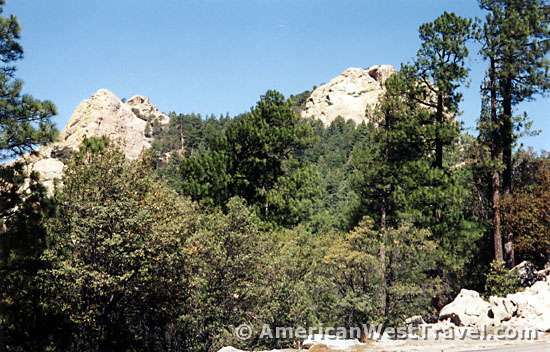 The park is actually located within the Coronado National Forest. It is managed by the state of Arizona in cooperation with the U. S. Forest Service, with the park offering nice recreational amenities including a developed campground with hookups, picnic areas, and an equestrian center. The adjacent national forest area is within the Pusch Ridge Wilderness where nature is left undisturbed and there are no amenities. 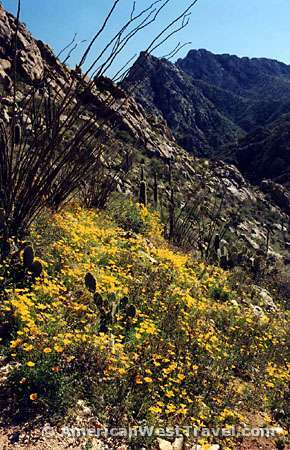 The park's trail system also connects to the Sutherland and Romero Canyon Trails in the Pusch Ridge Wilderness Area. 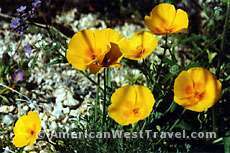 These trails steadily climb high into the Santa Catalinas, first through scenic desert canyons, then semi-desert areas with scrub oak and chaparral, and then progressively more forested areas as the elevation increases. The sturdy backpacker can reach the highest point in the range, Mt. Lemmon, at 9,157 feet elevation, in about fourteen miles. 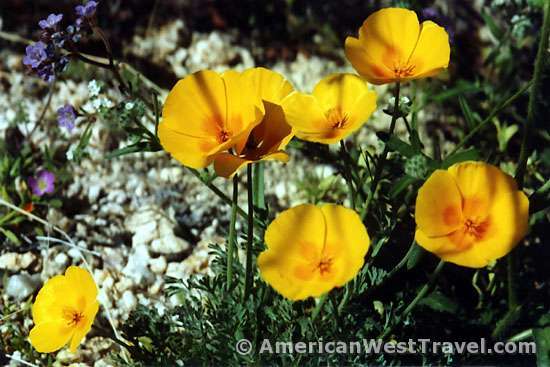 The Romero Canyon Trail veers off of the scenic and popular Canyon Loop Trail about 0.6 miles from the trailhead. The trail becomes rather rocky and steep as it ascends Montrose Canyon. 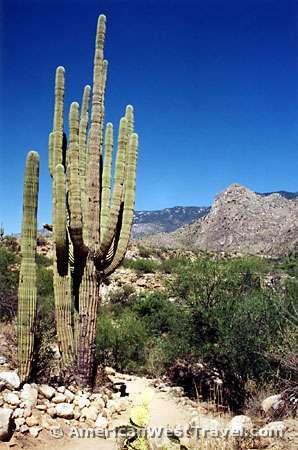 The canyon walls, often dense with saguaro and other cacti, rise sharply hundreds of feet above the riparian streambed. 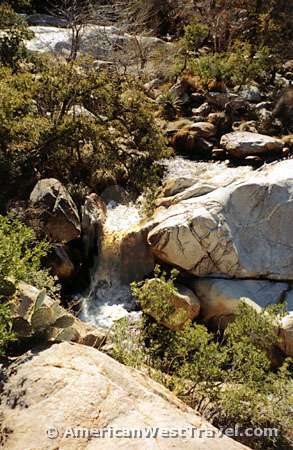 The stream usually flows during the winter and spring, creating a very lush streamside environment. 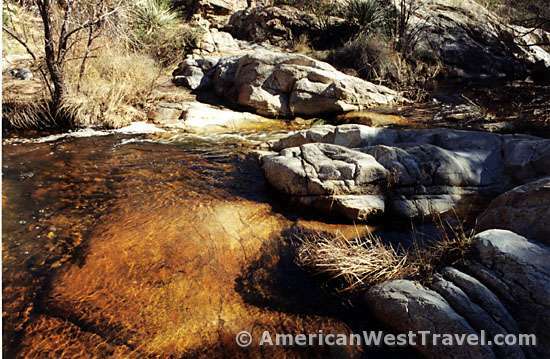 You can access and observe the stream at the Montrose Pools located one half mile up the trail. Catalina State Park is located on the Oracle Road, Arizona-77, six miles north of Ina Road, and about ten miles north of metro Tucson. 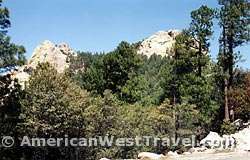 There is a fee to enter the park and an additional fee for camping. Hookups are available, as are restrooms with showers. A project is under way to expand and upgrade the campground. 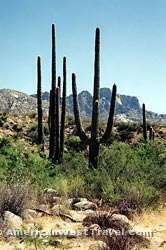 For more information, visit the Arizona State Parks' Catalina State Park web site or call (520) 628-5798. 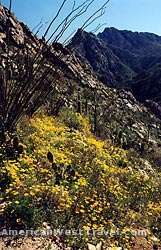 For more details on hiking further up the Romero Canyon Trail, visit the Sierra Club's Tucson Trail Guide - Romero Pools web page.